"There is something exciting happening in Fairfield, Virginia and it is happening at the Faith Mission Church of God in Christ, where the Spirit of God moves and dwells!" Join us as as worship the Lord in Spirit and in Truth! 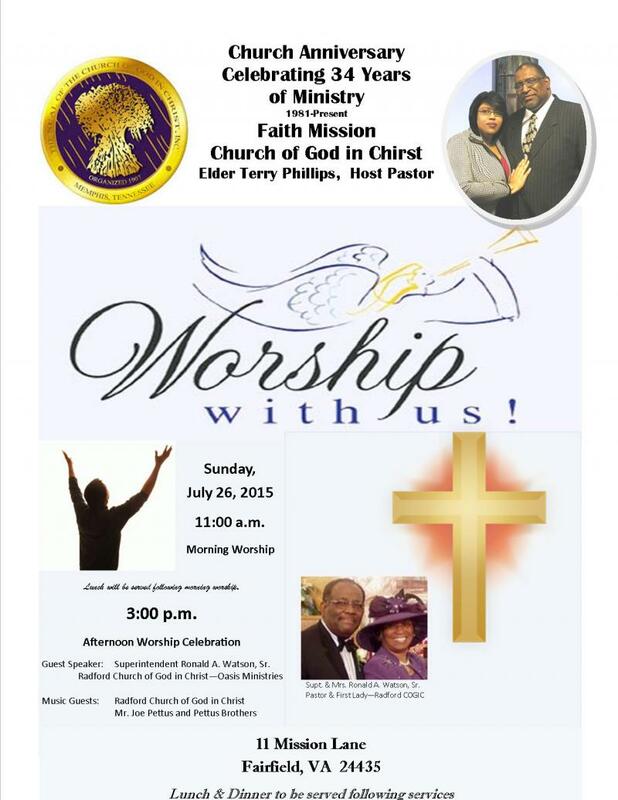 Come and celebrate Jesus with us on Sunday, July 26th! We are expecting a move of God in the House! You don't want to miss this service. Copyright 2015 Faith Mission Church of God in Christ. All rights reserved.